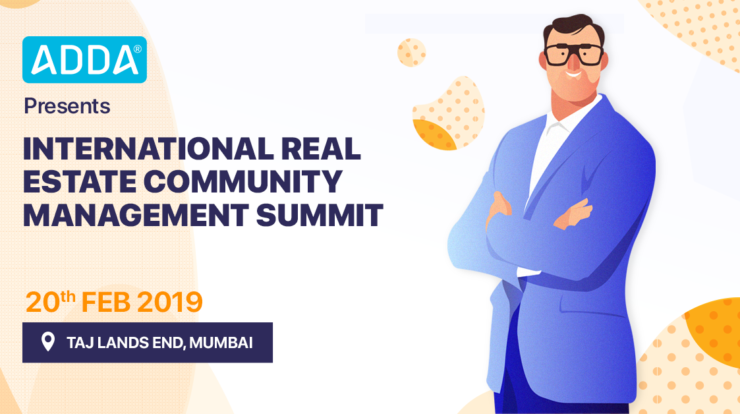 Come March – the typical fiscal year end, most Apartment Complexes in India get busy with their annual elections – to elect a new Management Committee of the Apartment Owners’ Association or the RWA – Resident Welfare Association. But many of us Apartment Owners / Apartment Residents have often resurfacing questions on what exactly is the definition of an Apartment Owners’ Association? What is its purpose? Its powers? Its duties? Its alignment with the legislation? Here is an attempt at compiling answers to the above questions . This is in relevance to Apartment Owners Associations in Karnataka. For other states in India, information is most welcome! The terms Association and Society in this post are used interchangeably. How is an Apartment Owners Association (referred to as the ‘Association’ hereafter) formed in Bangalore? Says that they desire to form themselves in to a society under Karnataka Societies Registration Act 1960. Encloses a memorandum with following details: desired name of the Association, aims and objectives of the association, and who in the association will be authorized to correspond with the Registrar of Societies (typically the President of the Association). Encloses the Bye-laws (rules and regulations) of the Association. All applicants sign on the application, along with a witness’ signature and Voila! an Association is born. Note: The Association can also be formed under The Karnataka Apartment Owners Association Act – 1972. Documents to be produced include the certified building plan of the building as-built and proof of the property being registered under the Registraton Act – 1908. What are the various roles in the Apartment Owners Association? The Member: Every owner of the apartment complex is a member of the Association. In the case of joint ownership, the first person named in the title document is typically the member. No person who is not an owner of an apartment in the complex can be a member of the association. The Associate Member: Any person, or persons, other than the owner, who is wholly residing, occupying or otherwise in lawful possession of any apartment in complex becomes an Associate member of the association. The Associate member pays maintenance charges to use common facilities, but does not have right to vote, unless authorized by the owner of the flat in writing. The General Body (GB): All members of the association form the General Body – this is the supreme authority of the Association. The GB may alter, rescind, add, or amend the bye-laws, with the approval and consent of at least 13 members voting in general body. All members of the association are bound by the bye-laws. The decision of the GB is binding on all members. The Management Committee (MC): A board of members elected by and from the GB, that represents the Association before all government and other official or non official bodies in all matters concerning the building and other rights and interests of the members. The MC is typically composed of a President, a Vice President, a Secretary, a Treasurer (together known as the Executive Committee) and 8 other members. The period of office of the elected members is typically 12 months. Such members are eligible for re-election for another term. The work of the MC is reviewed by the GB at the annual general body meeting or any other meeting. As a member, what are my duties and rights? Rights: Vote in the elections – each member, irrespective of the apartment type & size has a single vote at Annual General Body Meeting or in any other official meeting, elections, of the association. Should a member have ownership of more than one apartment, the number of votes shall be in proportion to the number of apartments owned. The member has a right to authorize a proxy to vote in his absence. Each member of the association has the right to inspect all records, books of accounts of the association with 3 days prior notice to the Management Committee. What are the duties of the Management Committee? Organize, social, cultural and recreational facilities and amenities for the resident, supervise the same and maintain or organize the maintenance of all common areas and amenities thereof. Encourage and promote religious, cultural and educational activities and promote charitable feelings amongst members. Join hand with any other association for common and mutual benefits. Open and maintain one or more bank Accounts of the association in the name of the association with any nationalized bank as decided by the committee. Ensure that the income monies received by the association are applied in promoting the objectives of the association and are not available for distribution on any account amongst the members. What are the duties and powers of the President, Secretary and Treasurer? The president presides over all the committee meetings and has general control over all the affairs of the association. He/she is the person who can sue with the consent of the general body or defend any legal action against the association on behalf of the association, after taking appropriate legal advice. All legal proceedings are instituted and continued or defended by the president. He/she signs all documents and papers and vakalats relating thereto in the name and on behalf of the association. The president enters into contracts approved or delegated by the committee. In the absence of the president, for any reason whatsoever, the committee may authorize the secretary or the treasurer to sign all such documents, papers etc for and on behalf of the association. The secretary is responsible for the executive administration of the association subject to the control of the committee. The treasure has custody of all properties of the association including the funds of the association. The treasurer maintains a petty cash account for meeting the immediate petty expenses. Note: The above article has been compiled from Karnataka Societies Registration Act and typical Bye-Laws of Apartment Owners’ Associations. Please be aware that each Association has its own set of bye-laws and there are chances that the definitions & duties in your Association is different from those laid out above. You are advised to study the bye-laws of your own association for an accurate understanding of your duties and rights. 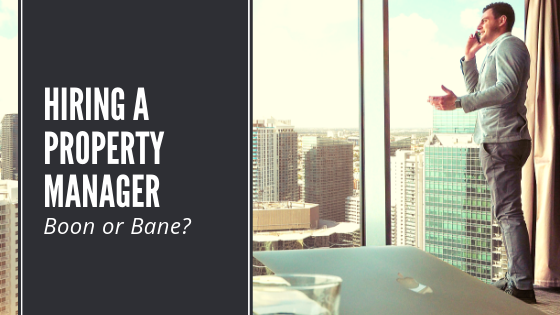 Hiring a Property Manager – A Boon or Bane? Answer: Hello Mr.Raman, please check the below link to find the office of registrar of societies that is designated to your area. You could call up the office that seems closest and they could guide you..
And, you are right, the Registration deed is only in the Kannada language now. A: Hello Anu, typically this is not possible, due to the transient residential status of a tenant and his/her limited stake in the society . However, there can be provisions made in the Bye-laws of the particular society to make this possible – with the consent of the General Body and authorization of the specific owner. The advise I have is that apartments in Karnataka legally require to be registered under the Apartment Owners Act and not the Societies act. Irrespective of any practical uses what is the correct legal position? The book sold for the same act may have more information. 1. the builder needs to provide all the property related information detailed under clauses 11, 12 and 13 of KAOA (page 9-10), such as the certified building plan of the building as-built. The Karnataka Societies Registration Act does not have any such requirements. After our consultation with veteran apartment association members, the correct legal position must be to get your Association registered under the Karnataka Apartment Owners Act. It will mean that all the property documents, building plan etc. are legalized. The Association members can face any future eventualities regarding the property with easy help from the legal authorities. Unfortunately, most apartment complexes we know, do not have the builder’s involvement while registering the association, neither are the property documents handover complete, nor the entire building plan legal. Hence, the registration of association under Karnataka Societies Registration Act. Here is another great article on this topic, it seems to be quite recent too (December 2008). Please do share what you learn further. We shall consider updating the blog post with this piece of information, after further verifications. What is the common practice followed in monthly maintanance charge if an apartment has diffrent area flats. Is it a common rate or divde as per the Flat area? Is there any rule which association need to follow? best of my knowledge the maintenance should be based on the per sq ft and not per flat. That is only fair, I think! 1. Uniform rate per flat. Example- Rs.1000 per month per flat. 2. Rate proportional to super-built up sq.ft. area of each flat. Example- Rs.2 per sq.ft. per month. 3. Combination of uniform, sq.ft. based, and other variable costs. Example – Re.1 per sq.ft. of carpet area per month + Rs.700 per month for the common areas + Diesel cost as incurred that month. Typically, the strategy is decided by the Association. In case of conflicts, a decision of the General Body is considered final. In case the maintenance charge is taken for some facilities and for more than 8 months that facility is not usable, say lift is not workig, then if i stop paying the a portion of the monthly maintenance charge? is association is empowered to remove electric connection and water connection siting the reason of non-payment of maintenance charge? @Parna: In most cases, penalties for non-payment of maintenance charge are listed in the Bye-Laws of the specific Apartment Society. Please do review the same. Typically, societies are not allowed to disconnect basic amenities such as water and electricity supply, but can initiate legal proceedings. Is there any govt. guide line instructing that an apartment association need to be registered in Karnataka using application filled with Kannada language? Can an adjoining independent house owner be a part of the apartment association and use the facilities because he has got into an agreement with the builder without the knowledge of the association. What could be the implications of the same ? @T.S.Thilak: Yes, the Karnataka Government is converting most of the registration deeds to Kannada-only (we got used to this from the birth-certificate of our child 🙂 ). This has been implemented for the association registration deed. Our apartment complex has 8 large apartments ( 2000 sqt) and 50 small apartments ( avg 1300sqft). We have been paying maintenance at a combination rate ( as mentioned by San above) – part fixed and part on sq ft basis. Now some association members want us to pay by sq ft. This will increas the maintenance charges of large aprtments considerably. They are forcing this and resorting to voting. Since there are only 8 large flats – they are always out-voted. Also the expenses are decided by the smaller flats ( again on majority) – so the expenses are very high. Can someone help me names of apartmemntgs where this combination method is followed. Also – is there a legal recourse on this? @bangalore resident: We try to be of help, but are unable to provide an Apartment Complex name against the combination mtce fee strategy right now. Let us hope that a reader of this blog can shed more light on this. We wish that your problem will get resolved amicably – all the best. 1. What is the common practice followed after new board of directors has got elected with respect to intimating the registrar? 2. Where is the office of the registrar ( our apartment is near Hope farm)? 1- It is required to inform the registrar, within 30 days of new governing body formation. The information comprises of the modified ‘List of Governing Body/Executive Committee Members’, which is part of the Memorandum, and contains the photographs, personal details, designations and signatures of the new Governing Body. Our unsolicited guess is the below address 🙂 Please do confirm by calling the office. Ours is a 6 Apartment Building in which the builder owns an Apartment – Can we form an Association – If yes,Can any other owner apart from the Builder go ahead with the registration of the association? Question about Property tax – We had registered the apartment in Nov 2006 and taken the possession of the apartment in Apr 2007.We had to pay the arrears for the prevous year while paying the tax for 2007-2008.The Builder denies to pay the property tax for 2006-2007. Can somebody throw light on who needs to own up the property tax of the apartment for the 2006-2007? I have a question. Can tenants of an apartment complex be charged more than the owners. Maintenance is calculated per sq ft, but different rates are levied on tenants. Ideally the builder should have paid tax, because you were not associated with the apartment in 2007. We have come across similar cases where the builder refuses to pay and the owners end up paying the previous year’s tax. Your association committee can take it up with the builder to get the amount refunded – or as a gesture of goodwill ask the builder to sponsor gym equipment etc. There is no law for or against such a practice in Karnataka yet. You can get in touch with other tenants and approach the committee to justify the different rates. I have purchased a flat recently and going to register it this month. But some work is till pending from the builder’s side. So, If we form the Association before completing the work, doen’t the builder entitle to finish the work ? I heard that once the Assoication is fromed the builder is not responsible for the pending work. Is this correct? @Raghu: What you have heard is not correct. The builder’s responsibilities towards the structure as a whole ends only when he performs complete official handover to the Association. Forming of the association is not related to this handover. In any case, the builder is liable to each owner individually, for completion of the promised work, as well as maintenance for 1 yr (typically) from the date of occupation. Hi , thanks for posting the information, it is very helpful. We at DailyDump ( http://www.dailydump.org ) are looking to connect with the Apartment/ Resident associations. In this regard it would be helpful to have a list of these associations in bangalore. Can you direct in this regard. Ours is a 6-apartments building. Can we form the Apartment’s association as I understand that in order to form Apartment’s association the minimum number of apartments should be 7. If it is not possible, then can we include the builder, who still has the undivided shares in land expecting to construct two more flats in future if approved by the authorities (otherwise the builder doesn’t have any flat on his name)? The flats are in Vidyaranyapura..Where is the concerned office of the Registrar? Can the Sub-Registrar office at which we registered our flats be approached for registration of the Apartment-Association also or it is altogether different office? However, we are unable to share the contact of Association committees as it will require permission from them. We will surely spread your message though. Alternately you could approach the Registrar of Societies to obtain such a list. 2. Under the Karnataka Societies Registration Act – 1960. As you have correctly mentioned, minimum 7 members are required for this. You would require legal advice for including the builder as he currently does not own a flat. Please do write to us at support@apartmentadda.com, if you require recommendation on relevant lawyers. I am facing leakage in my bathroom from the top floor since very beginning. Complaints were lodged in Association office. But no result. I would like to know to wom I should approach to solve the problem. sir,i am going to take possession of a flat pl z advice me what documents 2b collected.and if we planing to take car parking should v do agreement 4 this also. We are about to form an association. Our builder has some more work(minor) to complete, but he wants to handover the maintenance to association. So we have to form an association. We have consulted a couple of lawyers and they say the cost of forming the association would come between Rs15,000 to Rs 20,000/- . We really have no idea about this costing. Can you please guide us. Hello Naveed, the cost quoted by your lawyer is reasonable. That is the typical average for legal advise quotes for association registration. If you ask for same quote a year back, it would be a bit less. The reason being that lately their effort has increased for Association Registration, due to the requirement of all paperwork including the By-laws to be translated in Kannada. Pl refer my query posted on June 21st and your reply on July 9th. I have one more doubt. We would like to form association under Apartment Ownership act 1972 and will be able to take relevant documents from the Builder. However, the construction is not as per the approved plan (there are set-offs & FAR violations (though no of floors, no. of bedrooms, toilets etc are as per approved plan). We can submit the certified actual as-built plan (though it will be different than the approved plan). Will it be possible to form the association under this Act and despite this whether will we be able to exploit all its benefits (legal advantage) in case of eventuality compared to Karnataka Societies Act 1960? Hello PKJain.. Per your request via email, we have sent you the details of a legal advisor who can assist you. Does the elected body or GB (Attended by less than 20% of owners – because 80% are tenants) can take decision to increase the maintenance charges as they like? Is there no any control over the maintenance charges by law of the land just like to rent control act? In my apartments handful of fellows are creating havoc always increasing with one excuse or other, collecting lakhs of rupees showing some junk recipts. Do’t I have any protection from law? After owning a flat I am almost paying a maintenance charge equivalent to rent. I started regretting for going for an apartment. Can some body help me? 1. What would be the cost (govt fees and govt charges) of formation of association (apart from lawyer fees)? 2. What are the resolutions that need to be passed in GB Meeting? 3. wat are the documents that are needed to be signed by all members of association? @Bharath: Since you are going with a lawyer, he will be in the best position to guide you with the answers. I am living in an apartment complex having 20 units. We had a meeting last Sunday, where we all decided to form an Apartment Owners’Association. The objective is to run the day to day activities on maintainence of building. Out of 20 units, around 10 are occupied by owners and 7 are occupied by tennants. I want to know the exact process to form the association. We would prefer to do it by ourselves rather than going through an Advocate or middle man. Is it feasible? Can we have formats to Memorendum, bye-laws and any other docsd which are required. @Rajan: Since the owners’ association is a legally recognized entity to be operational for multiple years, and forming it is a one-time activity it is advised that you take the assistance of a legal advisor. This will ensure that there are no gaps in the formation of your association. I refer to the subject article. Going by one’s understanding, the article deals with the transfer of a ‘Flat’ under the law. As one is expected to be aware, if it is a ‘Flat’, what are of relevance and application, among others, are the – Karnataka Co-operative Societies Act and the competent authority being, the Registrar of Co-operative Societies. If so, the reference in the article to ‘Society Registration Act’ is not understood; rather confusing. The other enactment called – Societies Registration Act is an Act, as borne out by the Act itself, applicable for different purposes; certainly not for registering a ‘housing society’ formed by the ‘Flat’ buyers. For a proper understanding, besides in the applicable Acts/Rules, there are quite a lot of useful information/clues available also on the government’s website. In the attached mail I have commented wrt the Act in Karnataka applicable to ‘Flats’. The position in law in relation to ‘apartments’ under the Act applicable thereto could be no different. The Societies Registration Act, in terms, is of application only to the specified category of associations. “Housing Society”, be it an Apartment or Flat, is not one covered in that category.As such, the registering authority, being a creature of that Act itself, will be acting beyond his powers, whatever be the reasons or compulsions, extraneous or otherwise, if he allows a housing society, whatever be its bye-laws, memorandum, etc., to be registered under the Societies Registration Act. Further, it cannot have the same legal effect /implications (this is a very crucial aspect) as registering a housing society under / in accordance with what the Apartment Act/the Rules thereunder specially provide. This is regarding the election of office bearer. The Flat in which we staying is in my Wife’s name. As a husband can i attend the general body meeting of the association? next can i become a office bearer incase the owners request me. Please advise me. thanking you in advance. @vswaminathan: Thank you for sharing this. It does seem that there’s quite some scope of improvement when it comes to the real estate consumer. @phillips: Here is the typical provision in most by-laws – As the flat is in your wife’s name, you will be an Associate Member of the Association. You can attend the General Body meeting, but will not have voting rights. However, your wife can give a written document to transfer the voting right – this document should be submitted to the Management Committee 2 weeks before the day of vote (or as mentioned in your by-laws). Yes, you can become an office bearer, however in that case your wife cannot become an office bearer at the same time or exercise voting rights (one vote per apartment in all General Body votes). Please cross-verify the above with the by-laws of your association. We have association of the apartment. One tenant is not paying maintenance amount fully. We hv informed his owner also. What step can take from Association? Can we disconnect water, elect. etc. ? Is it legal? @Venkat: Legal opinion is against disconnection of basic amenities – electricity/water etc. The situation could be different if the maintenance due also includes the individual water/electricity charges – in which case the association can have an understanding with the KEB/BWSSB for payment defaults. In any case, you can take steps as listed in your by-laws. Legal proceedings can be initiated for recovery of outstanding amount. Beena: In case of non-payment of Maintenance Fee, Association can only withdraw services that are financed with the Maintenance Fee collected from Residents. @BEENA KURIEN – As already explained in an earlier QnA above by “San”, the association has no legal right to cut water, sewerage or electricity to your apartment – if they do that you can move to court over that. They can only start legal proceedings against you for the non-payment. Pls required help and guidance in registration of our owners association. Ours is a 14 flat group house. Recently the Municipal authorities have demolished 2 flats in cellar as un authorised construction. The builder and the flat loosers have still undivided share in the building. They want to construct the lost flats on the terrce as there is still scope for construction for another floor on the terrce technically . Now they have applied for plan approvals..Now my queston is whether the applicants or the builder requires to get permission from the existing owners? The terrace rights have been already given to the builder at the time of registration. Still a fresh consent reqired or not? As now nobody will give in writing.. Thanks to Citizen Matters which lead me to this page. Firstly I would like to make it clear that “Apartment” and “flat” have two distinctly different defenitions. Apartment can be used only for residential use where Flats can be used for residence and commercial activities. Monthly Maintenance charges for Apartment complexes are decided by Welfare Associations. There are various methods adopted.Per sq ft, per apartment irrespective of sizes, or just the bully in the apartment complex make others to pay what he decide. First we must look at the budgetary provisions. Security,house keeping of common areas,BWSSB charges, Borewell, Electricity charges of common areas like lighting, elevators, pumps, DG sets,plumbing work in common area, Electrical maintenance of common area, Gym and club, swimming pool, childrens play area etc. None of these expenses can be on sq ft basis, A has a 1000 sq ft flat and the B has 1800 sq ft. On sq ft basis the A will get less security,less water, less lighting, small portion of the pool, less time in gym, and if he lives on the 7th floor of 12 level building, should he get down from the elevator at level three and walk up the stair case. As per sq feet basis his children should be allowed to play any out door game for less time than the children of B. Same goes with longterm maintenance. Painting external area of the blocks,swimming pool change room, Club, Office must be done from the “building fund” and Mr.A argues and stall the whole process saying since the external area of his apartment is smaller than Mr.B.So he wants to subscribe a lesser amount than Mr.B. What he forget is that “long term maintenance” is not only painting but lot of other repairs and replacements. what are the rules and regulations that are to to embedded after owners welfare asociation is framed for good helthyness of the aprtment . Prasad: Apart from all original documents related to the Building (various certificates, main khata, papers for common assets etc. ), you may require documents that are specific to the property – e.g., any pending approval requests for deviations, receipts for cauvery connection payment etc. A property lawyer could be a good idea to guide through the Handover process. A question, Can the builder refuse to handover maintenance of the apartment complex to a legally formed and registered association. The general body has passed a resolution authorising the association to take over maintenance, but the builder refuses to handover, his contention being that he has some flats still unsold and will hand over only after all apartments are sold. Shantanu: Assuming that the Builder also had his share of votes (for the flats he still owns) in the General Body, but the majority vote of the GB has gone in favor of Association taking over the maintenance, his argument sounds shaky. we want to form our Association under The Karnataka Apartment Owners Association Act – 1972. what are the document requirement from the builder side and association, also give us address where to register the association as per 1972 act. Sanjay: You will find the answers in the section of the Post that mentions the The Karnataka Apartment Owners Association Act – 1972. If you require legal help with registering the association, please drop a request at: http://apartmentadda.com/home/contactUsPage.php. A competent Legal Adviser will get in touch with you. Karnataka Societies Registration Act 1960. The Karnataka Apartment Owners Association Act – 1972. I want to know, which of these two is better? Reistering under Karnataka Societies Registration Act 1960 is easy, but does The Karnataka Apartment Owners Association Act – 1972 give any legal advantage over the other act. I. 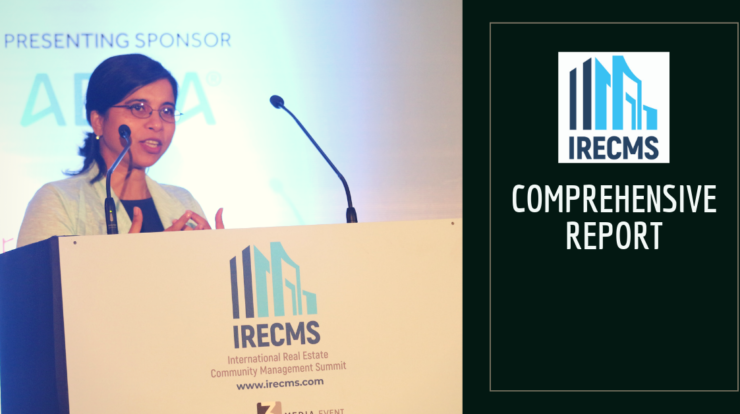 The special enactment – the Karnataka Apartment Ownership Act (the Act) lays down the regulations applicable to the property named, ‘apartments’. As is mandated by the Act in no unmistakable terms, the ‘owners’ association’ is required to be formed, and registered with the Registrar of Co-operative Societies, being the competent authority appointed under – the Karnataka Co-operative Societies Act. So that, the ‘association’ as constituted by the purchasers can have the status of a ‘legal entity’, thereby enjoy its attendant advantages and benefits. That being the legal position, the purchasers of ‘apartments’ in a building forming and having registered themselves as a ‘society’ under the Karnataka Societies Registration Act (as wrongly suggested / canvassed unwittingly in certain quarters) is a non-starter. This aspect has been elaborated in my Post – August 11, 2009 at 10:27 am. II. More importantly, it is only after the formation and registration of such ‘association’ as aforesaid, that all the individual purchasers of the apartments in a building, joining in as a body, come to acquire the legal status of ‘co-owners’ of the property; in particular, of the ‘Common areas and facilities’ (within its special meaning as per the Act). The so-called ‘Common areas and facilities’, no doubt, form part and parcel of ‘the property’. But, what the ‘seller’ conveys (or transfers – not ‘sells’ in its profound sense) to each one of the ‘purchasers’, is only an ‘undivided interest’ therein. That obviously is the reason why, in several contexts in the Act, – as also in the Model (format of the) Deed as found in the published text book, – to denote the document to be executed by the ‘seller’, the nomenclature employed, rightly so, is – ‘Deed of Apartment’, or ‘DEED OF (TRANSFER OF) Apartment’- NOT ‘sale deed’ (or any other inappropriate term such as, ‘deed of ABSOLUTE sale’ (as often found used, wrongly so, by ‘lawyers’ drafting the document). III. The referred ‘undivided interest’ in the ‘Common areas and facilities’ is, as spelt out in the Act, required to be conveyed to each individual purchaser, at the ‘percentage specified and established in the Declaration’. In this context, the Declaration referred to is the document to be executed and registered by the ‘seller’ in the prescribed Form ‘A’, in accordance with the Act. The point to be made a special note of is that, the ‘seller’ is duty bound to comply with the crucial requirement of execution and registration of the Declaration in Form ‘A’. Especially, that should be done necessarily at a point in time before he proceeds to ‘sell’ any of the ‘apartments’ in a building. Even so, for practical purposes, the percentage of ‘undivided interest’ to be sold to each one of the purchasers shall have to be necessarily determined and specified even in the initial stage of entering into any ‘agreement to sell’. (ii) at the next stage, being the final one, that is -when after all apartments have been sold and conveyed to the individual purchasers, and also after completion of the legal formality of – formation of the “owners’ association” and its registration,- by everyone of the co-owners/co-members of the said Association, – essentially in common with all of the other co-owners/co-members. It needs to be appreciated that, the foregoing legal requirements are not just empty formalities, left open to anyone concerned, either to opt for, or out, according to one’s own choice / convenience. On the contrary, they entail significantly material and substantially crucial legal consequences, and therefore, are required to be strictly complied with both in letter and spirit. KEY NOTE: The foregoing comments may be seen to be of relevance to, – besides bringing to focus certain points of view as covered in, – San’s Reply to an earlier Post – @Ranjita March 17, 2009 at 8:08 am. Ref. my last POST – February 16, 2010 at 7:37 am. 1. In my previous Posts @Ganesh are set out my viewpoints on a few of the legal requirements / formalities as per the law on ‘Apartments’, which are vital to the buyers’ lawful rights and interests. 2. The points made have specific reference to what the law provides with regard to the two essential formalities requiring compliance by any Builder of Apartment Buildings in the State of Karnataka in general, in Bangalore in particular. 3. In San’s Reply of March 17, 2009 at 4:26 pm a reference has been made to the article – @ http://www.mysooru.com/article1.html. In that article, its writer has made a mention of CREDAI- Karnataka’s Code of Ethics & Conduct. It has been observed that, one of the mandates to the Members as laid down in the said Code, in terms, prima facie contradicts the correct position under the law. The above mandatory rule as framed by CREDAI is not reconcilable at all with what the law clearly provides with regard to the timing / time limit for the Builder to have the Declaration (Form ‘A’) registered. A)	Execution and Registration of the Deed of Declaration in Form ‘A’ under the Indian Registration Act is the first stage for compliance. Importantly, that has to necessarily precede the second crucial stage namely, – the Execution and Registration of the Deed of Conveyance by the Builder, of any one or more of the Units (Apartments) in a building; that necessarily could be only after the ‘construction’ has been completed in every sense. B) The Formation and Registration of the ‘Owners’ Association’ under the Act (read with /under the Co-operative Societies Act) is the third / last stage. The mandate of CREDAI referred above is, to put it rather mildly, and in an inoffensive manner of speaking, tantamount to a reversal of the normal logical order i.e.- PUT THE HORSE BEFORE THE CART. 5. According to my information, however, the procedure followed as a matter of practice, besides by other builders, by the member builders of CREDAI is not uniform but is varied. So much so, there is an unadulterated chaos and confusion in the matter of compliance with the law, thereby impairing / adversely impacting the valuable rights and interests of the purchasers’ community as conferred by the law. 6. I have on a feedback Note sent through its website stressed that with a view to doing full justice to its own laudable objectives, more so for saving the purchasers from the currently obtaining disastrous consequences recklessly meted out to them, it is imperative that CREDAI should come out with a suitable modification and clarification of the Code, for the Builders to follow at least from now on. Also that, the matter is of such a serious nature that it, in all fairness, deserves top priority for effective steps being taken on a war footing by CREDAI. So far as I know, CREDAI seems to have taken no action in the matter thus far. 7. No doubt, the above is one of the several aspects, which hopefully would require to be duly taken care of in the new regulatory central law in the offing. Nonetheless, even under the existing law the correct position is, in my perception, more than clear. It is, therefore, obligatory on the part of CREDAI to volunteer and come forward with the necessary modification and / or clarification of the existing mandate in its Code; may be, if it considers necessary, after taking legal opinion from its own Advisers. In our apartment one of the owner is not paying corpus fund ,despite several reminders.how shall we go about this.what action can be taken? 1)I bought an apartment recently having 14 apartments. 6 shared by land owner and 8 by builder who sold all 8. Welfare assocaition was registered starting with 7 owners purchased from builders. Land owner sold 2 and has 4 apartments and not cooperating, not joining association. What are the legal rights of association. three more owners are willing to join. 2) In a sharing agreement betwen land owner and builder, the common facilities like parking and terrace are writtten as shared in the ratio 48:52 same as apartment area sharing. Is it legal? common areas belong to all 14?? 3)though only 14 car parkings are availble and marked, land owner has forcibly occupied 8 as per area sharing as against 6 apartments. Builder did not hand over parking proberly marked. Big problem. what action?? 4)In the sharing agreemnet , builder has given no objection for commercial shop in the front without site plan approval. All residents not informed are against. Bigger problem. What action?? 5) all original documents of land etc with land owner and not handing over to assocoation. what action can be taken. This is in reply to Anuj’s comments that the Apartment Owners Association cannot cut water supply, but can only take legal action. In the Apartment I am staying in Anjanapura, Bangalore, not only did the Association cut the water supply, they also had some tough guys standing by to take care of any problems, some months back. The President, Secretary, and the Treasurer behave as if they own the whole place, and pass arbitrary laws. They do not hold regular meetings, and even when they do, they invite only a chosen few. The tenants are treated with scant regard. It is high time that such office bearers who misuse their position are shown their true place, which is to look after the welfare of the owners and residents, and not try to lord it over everyone. One wonders where one can have an effective redressal for these problems and ensure that these self appointed rulers are set right. What is the applicable law for unregistered AOA agst various defaults eg non payment of dues,misuse of premises etc.Would the Courts apply provisions of the KAOAct 1972 ipso facto, act like under the provisions of Partnership Act etc. what is time period for being the member of the managing committee. can the president / secy etc re-contest the same positing for the re-election or should it be a new set of people or a shuffel within? what is te duration between the election. In our complex out of 8 flats 7 are used for commercial purpose.the apartments were made for residential use.No association was registered either under KAOAct 1972 or Karnatka Registration of Societies Act. In the event of disputes between owners what will be the applicable act? Since the flat is used for Commercial purpose can we cut off electricity to those flats who do not pay the maintenance charges and/or disallow parking of vehicles in the common parking area? Sir I had asked yesterday whether there is any liability under service taxes rules for apartment owners association who on behalf of the members collct subscribtions and spent the money for various common purposes like, cleaning, electricity charges, liftmaintanance,security etc. I am the assistant secretary of the association of an appartment complex in bangalore. Our bye laws clearly state that no appartment owner can modify the facade of the building. Now one of the owners has enclosed the balcony of his appartment and broken the wall between the balcony and his living room. Would this constitute a voilation of the bye laws. Can anyone help in clarifying this? Regards. Can any one let me know, the procedure to hand over the charges by predesor to new committee formed? Any legal documents and procedures? Any information would be greatly appreciated. The facade with respect to bacony is the opening on the plane or surface of the building. Does the enclosure touch the plane or protrude out? Also is it a permanent construction like bricks etc? The inside walls of the bacony can be considered part of the facade if it is jutting out ie on cantilevers, but your byelaws must specify this. If the enclosure is outside the parapet/handrail or if it is an opaque or permanent construction like bricks, RCC, wood and the like, then it is a violation. If it is inside the parapet/handrail and is a see-through temporary structure like a grill or glass, then it won’t be considered a violation. Do your byelaws deal specifically with enclosures of balconies/utility areas, or only change in façade? Have other changes in façade permitted like ACs, satellite dish etc. Also, is there any structural damage/change to the building – you will need an engineer’s opinion. one owners having tow flats can we pay doubal maintanance amount? Hi Sandeep. The legal ownership of the terrace clearly belongs to the owners if the super-built up area includes the terrace area. However, if the Builder has retained the ownership of the terrace, because he is going to maintain your complex for certain amount of time, then his control of the terrace should only be until that time. The utilization of the Terrace and the revenue earned therefrom have to be made transparent to the Owners/Owners’ Association at all times. Repairs to the Terrace has to be borne in the same way rest of the Common Area is treated. Hi Mahesh. Maintenance Fee is against each Dwelling Unit, and there is no relevance of the Owner owning other Dwelling Units in the same Complex. So, the answer is yes. 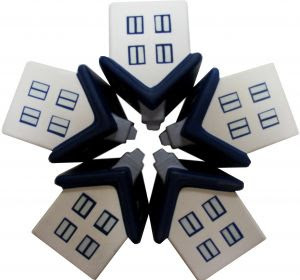 An Owner owning two flats pays twice the mtce fee (assuming each flat is identical wrt mtce fee). Handover checklist from erstwhile Management Committee to newly elected Management Committee. There could be additions/removals specific to each case. 1. All Association Documents – Society Registration Certificate, Tax registration certificates, By-Laws, Minutes of Meetings, Contracts, Financial Statements till date, Account Statements, Asset Book, Stock Book, Bills etc. 2. All Stamps and identifiers of the Association. 3. Change of Signatory – Has to happen in the Association Bank so new Management Committee can sign cheques. Bank Passbook handover. 4. Introduction to all service providers of the Association – AMC providers, Auditor, Lawyer etc. 5. A handover document that all the above have been completed – signed by both parties. 6. Information to Registrar of Societies regarding the change of Committee. I need a clarification. As a part of our duplex apartment we have also got 257 sqft of private terrace. Our maintenance charges as per our apartment resident association are based on per square feet. Do we need to include the private terrace (which is maintained by us) in calculating the maintenance fee? In my complex private terraces (for penthouses) are included for fee calculation. But they are charged at a lesser rate. It depends on what is present in your by-laws. Guess your Association Office can help. If your Association is using ApartmentAdda, check up the ‘Flat Dues’ section to know the calculation basis. Our builder has not called for any assoication meeting even after 1 year of handing over apartments to individual owners. We keep asking him several times and he gives several reasons like some of the owners are out of station etc. In this process, he still keep collecting maintenance fee and there were no accounts for these expenses. Since we have not registred any assoication so far, i would like to know is it builder responsibilty to handover the maintenance to assoication of owners after some point of time ? what if if there is no owners association formed.. need some inputs on these queries..
What is a building facade ? Does my balcony come as a facade ? and do I have the right to paint and tile my balcony (wall tiles) ? Is there any place where this is defined clearly ? My association by laws does not define what a facade is..
Where do I stand legally about tiling my balconies ? any opinion / past experience is greatly appreciated. I have booked and registered an apartment and my loan is still pending disbursement (as the floor plan is not yet approved). The building is almost on its completion in next 2 months and still the builder doesnt have the floor plan sanctioned. Can someone please help me understand here will this be an issue. I have registered this property but as per the bank its waiting for the builder to handover the approved floor plan and the builder has been telling me that it will be approved soon, I am getting a little worried, can someone help me understanding that will there be a problem in getting this approval? WE ARE HAVING 60 FLATS AND FORMED A REGD ASSOCIATION AND ELECTED PRESIDENT. HI Ganesan. We had this problem few years back. You just have to call a General Body Meeting and resolve to withdraw support from the existing President and elect a new one. You can do the change in Bank Signatory, with the copy of the Resolution, signed by the majority present and the new President, Secretary, Treasurer. I own a 3BHK apartment where there are 30 flats. We want to form a association and get it registered. Please advice how shall we proceed further. I want to know if this is possible to get individual floors registered in Bangalore? Say if we a group of 6 people buy a land around 3000 sqft and construct 3 floor consisting 2 flats per floor and then get individual home loans and registration? Is it mandatory that the apaartment owners association should be registered with the Registrar of Societies? Where can I get this information in print ? An Association is designated as such only after registration with the RoS. Until then it is just a group of people with no binding. You will find the same in the Societies Act available as pdf as well as a book. i am a flat owner consists in 6 block of apartment at nagpur till date we have not registered a society firm but we are facing a lot of problems i.e in maintainence charges and parking allotment kindly advice for the above situation. Hello Mr. Ajay, if you are planning to leverage the reliefs provided under the societies act, you can look at getting your society registered. However, issues with maintenance due collection are operational issues common to all communities, irrespective of recognition as an Association/Society..However, parking slot allotment is typically done by the builder. I am living in Tamil Nadu. We are going to form Apartment Owners Association, where there are 178 flats. whether the father, son, daughter, wife or husband of the flat owner can become office bearer of the Association. Manoharan, this is possible. In our society, immediate family members of the flat owner can very well become office bearers. But two members from the same family cannot be office bearers at the same time. You just have to make sure that this is not explicitly prohibited in your by-laws. can you send a format of ” MEMORANDAM” to be executed by all the members of welfare society. What is the general rule followed when there is no occupant in the apartment – when someone goes abroad for few months (3-4 months) lets say- is he/she forced to pay the entire maintenance fee or is there a minimum payment done. What is the timelimit followed generally. Thanks. SSK, if the Maintenance fee has an ‘actuals’ component to it – i.e., the water consumption is charged by actuals, or the clubhouse usage is charged by actual usage, then your outgo will be automatically taken care of. If this is not the case then typically there is no difference in the maintenance fee an occupied flat pays compared to the unoccupied flat. The general view is that – the additional effort on part of the Association resources, to accurately track the temporarily unoccupied flats, and make relevant adjustments to invoices, is difficult to justify. 1) What is the elegally valid notice period for calling an AGM and an EGM. 2) What is the Maintenace Charge rule if any for charges to levied on each apartment. 3) Discrepancies in Association activities can be fought in which Court/s. hi, i am from Goa having query for the shops having in the appartment, were building is register for society, could you please let me know is the maintenance cost for the shop owner is same as shop owner ,.as my shop area is 30 sq.mtr. hi, i am from Goa having query for the shops having in the appartment, were building is register for society, could you please let me know is the maintenance cost for the shop owner is same as flat owners ,.as my shop area is 30 sq.mtr. Also want to know recently as appartment dranage have got over flow & need to repair, so commitee decided to repair dranage system , so its cost every individual upto RS 5000, can you please let me know is the same amount i hav to pay as paid by flat owner as i am having no toilet except tape which having separate dranage done separatly for the shop, only thing that i am using appartment general toilet. please advice what do on this case or i have to pay amount amount as paid by individual flat owner.. I seem to have a common problem in any apartment. per the below owner, he says there is leak in our 3rd floor apartment bathroom, and itseems water is leaking to their ceiling. I stay abroad, I have taken some measures of repairing the peripheral wall…but that dint fix the problem. Now, the handyman has suggested to break open all the flooring in my bathroom, and fix the leak in the pipe. Estimated amount for fixing it would be Rs. 14,000/-. My question is since this is happening in a concealed pipe, which is not my responsibility, shouldn’t the owner below, and/or the association bear the some percentage of the cost? 1. If I want to cut open the floor of upstairs flat so we can connect both flats to form a duplex apartment, can I do so with/without the consent/approval of other apartment owners? I would be consulting a structural engineer/consultant and making a staircase or opening only where permitted structurally. The designer of the apartment compled is not available. 2. Can I extend the building and add balconies on the ground floor as well as extend another balcony to form a sitout area, with steps to our garden below, etc. I am staying in one of the apartment in Bangalore. There is a leakage in my bathroom from the above flat. Please explain me Who has to bare the expenses? If both the owners has to bare, Then what %? Is there any law? Please give me references. Is it legal to run a commercial canteen in an apartment complex. We have a major problem with rats and other infestations and the unhygienic conditions. The commercial canteen itself is not registered. I bought a flat in bangalore and got it registered. however, builder did not register not only mine but also any of the other car parking slots. I paid more than 1 lakh for parking slot. Builder has put flat number plates randomly (favoring his loyalist) on car parking slots. he even put 2-3 number plates for a single flat in the single block and this is noticeable with more than 3-4 flats having parking lots more than 2 nos though they have paid money for one car parking. Since my flat is the last to sell, my flat number plate was put in some other block. I had approached our flat association president, but of no use as no one is interested in this matter. This is because most of them have got the parking slots based on their requriement. I had approaced the builder many times, but he says that all parking slots are full and i have no other choice but to take the parking slot available in other block. Since, it is far, I am not interested to accept it.. I kindly request you to suggest wat should be done in this case as builder as well association are not interested in solving my matter….Secondly, if it is compulsory for the builder to provide a parking slot, then why the cost of parking slot is included in the apartment cost if it has to be given free to the owner? I have a flat in bangalore. no society or association has been formed as builder is saying he will hand over only after all residents complete khata formalities. I would like to know whether i am required to pay any charges towards maintenance even though I have not moved into my apartment and it is not occupied since the last one year. One of the residents is asking me to pay varying charges for the past three/four months. please note that mine is a 2bhk while there are 3bhk flats too in the building. so do all the owners pay the same amount of maintenance charges. Please let me know whether i should pay these charges or am i supposed to pay them only after an association or society is formed. Hello Kamala, if the Builder is collecting Maintenance Charges, then you have to pay depending on your agreement with the builder. If an Association of People in your complex are collecting the maintenance charges, then you need to validate if this Association (even though not officially registered) has the mandate from the General Body (vote from 1/3 owners) to collect these charges. I am an owner of appartment in Banglore. recently i have seen the cometee (exp treasurer) made some descisions on his own. he cut down mature trees in the complex and said the decision was joint with the cometee. Other members initially denied this, only when i asked to provide the minutes, the cometee said it was a joint decision. so far cometee has refrained to give me further information (i have sent 3 emails). i am seeking information for the cost involved in this and what happened to the cut down trees — did the cometee sold them? also the now they are asking to replant the trees, again i asked them to send the clarification why we need to, why we cut down the trees in the first place and again the cost involved. please advise what my rights are and if by law cometee is supoose to provide the information to the owners of the appartment. I am a flat owner of my apartment. My apartment is in south Bangalore,Karnataka,India. Our apartment has total 16 Flats. In that 2 Flat Owners put a private grill gate in the common area. Nearly from the main door it is around 10 feet one person has put the private grill gate and another person put a private grill gate around 5 feet from his main door. This happen around one and half years back. We objected at that time, they said as of now association is not formed, so once it is formed let we see. But because of improper guidance by an advocate we started the association process nearly 1 year back but still haven’t got done. So we though, even though association is not there we will get signed from majority of Flat owners saying we need to remove this private gate. Out of 16, 11 Flat Owners supported us saying we need to remove the private gate. In that 11, one member send a mail saying he has to remove the gate as he is not able to come straight as he is in abroad. Now when we show the majority the flat owners are not ready to remove the private gate. They are saying it is more than 1 year the gate is there, so we don’t remove. As well as if we remove without their knowledge they have background support (police) so they will go to any extend to maintain the private gate. 7)	One or 2 member is not in India, they are in abroad, so email is accepted if they want to support us or what we have to do to take their vote. WHAT IS CRTPTICALLY REFERRED TO AS, – “COMMON AREAS AND FACILITIES” IS A SPECIALLY DESIGNED LEGAL CONCEPT. IT IS PECULIAR BUT ESSENTIALLY OF RELEVANCE AND IMPORTANCE TO – UNITS OF A BUILDING (‘IE. FLATS’ OR ‘APARTMENTS’). AS SUCH, IT IS IMPERATIVE FOR ONE AND ALL, WHO HAVE SOMETHING TO DO WITH A FLAT OR AN APARTMENT – BE HE A PROMOTER /BUILDER//SELLER, OR PURCHASER, OR THEIR PROFESSIONAL CONSULTANTS – EXPECIALLY THE ADVISING ARCHTECTS, AND LAWTERS , REQUIRE TO HAVE A CLEAR / IN-DEPTH UNDERSTANDING,. AND INSIGHTFUL GRASP, OF ITS PECULIAR LEGAL CHARACTERISTICS AND IMPLICATIONS. THAT IS POSSIBLE PROVIDED THERE IS AN UNBIASSED AND IMPARTIAL UNDERSTANDING / GRASP OF THE VERY BASIC CONCEPT OF – OF ‘FLAT’ / ‘APARTMENT’. SHOULD ONE GO BY THE INFORMATION AVILABLE IN PUBLIC DOMAIN (IN THE FORM OF ARTICLES, REPORTS, POSTS ON WOES / GRIEVANCES, ETC.,) ONE IS LEFT WITH AN INDELIBLE IMPRESSION THAT, BY AND LARGE, THERE HAS BEEN JUST AN AWAKENING, BUT NO REAL AWARENESS ON THE PART OF THOSE WHO NEED TO BE REALLY CONCERNED ABOUT THE OBTAINING WOEFUL REALITIES. 1. The areas identified for the swimming pool and club house is part Common Amenities land. Hence construction of pool is not allowed. Club house, if constructed, it will be open to public. This land is in the far end diagonally across from the main entrance. Which will mean public folks will wander around the campus, increasing our costs of security and other sundry charges of maintenance. The builder is suggesting that if they keep the membership fees at a very high level, then it can restrict the inflow of public. The apartment plan is approved by the BDA with 60% open space. For instance, there is a large lawn in the centre of all towers. Can we have a club house and swimming pool come up there? Can we construct a pool and club house, either atop one of the towers or in the basement parking (will require some owners to relinquish their parking. I wonder whether you could forward a model By Law for a Armed Forces Built Flat Owners’ Association for implementation in West Bengal ? More specifically, kindly clarify and guide if a clause can be added to stop sale / transfer of such flats constructed and handed over on “No profit no loss” basis to civilians with an intention of profit making. Hello Wg.Cdr. P.K.Sanyal, please find sample Bye-Laws in this post: http://apartmentadda.com/blog/2011/02/08/contents-of-bye-law/. We have shared the question posed by you with other Defense housing societies, and look forward to their inputs. I have bought a house in a gated community in Bangalore. The builder has been very slow in completing the construction, though project was launched almost 6 yrs back… Now he is delaying club house/common facilities, etc. but asking for mainteance fee. 1/ Can the owners form an association but still have the builder continue to maintain it. 3/ Will the builder force the association once formed to take over maintenance, though quite a bit of the facilities is yet to be completed. A glance through the several Posts @ the above link, as also @ other like links, leaves one with a mixed reaction. They do bear out the reality that, – by and large, there is an awakening to some extent amongst the purchasers of Flats or Apartments, particularly in cities like Bangalore and Bombay,. as regards the legal implications of the two types of ‘ house properties’ , Nonetheless, what is distressing is that, mostly there is no desired complete awareness so as to avoid or obviate the hardships suffered by the purchasers’ community. For instance, it appears that, even the basic distinction between the respective characteristics of the two types of ‘units’ – ‘Flat’ and Apartment’ largely remain to be understood in the proper perspective. According to the two enactments in force in Maharashtra, as per the amended definition in the Flats Act, ‘Flat’ includes an ‘Apartment’ – it needs to be construed so for certain purposes ; certainly not for all purposes- but ‘Apartment’ IS not a ‘Flat’. might, if gone through mindfully, help anyone to have a clear understanding of many of the related aspects in a wholesome manner. There is no gainsaying in that, anyone really aspiring to have a clear-cut perception of the entire subject, may have to consult a competent but trustworthy Advocate , especially known to have specialised knowledge of and practical exposure to the law. Needless to add,- that should be done essentially beforehand, even at the time of deciding to enter into any transaction of purchase of the property of any one of the mentioned 2 types. I am a President of my building and recently i had passed a ordinance in the general meeting that we will take maintenance charges for terraces @ 33% of the sq ft but after finalising this, there has been negative response from the respective flats who owns the terraces. Please inform if what we are doing is as per laws and they are binded to pay these charges. i am living in an apartment & our president , secretary and treasurer are not paying their monthly maintainance and it is shown as salary paid to Management committee in the accounts. Can they claim salary ? am living in an apartment & our president , secretary and treasurer are not paying their monthly maintainance and it is shown as REMUNERATION PAID TO OFFICE BEARERS CAN THE PRESIDENT SECRETARY AND THE TREASURER CLAIM REMUNERATION ? Want advice on following things, its very critical. Ours is 12 flat association from Bangalore, Banaswadi. 1. We dont have any legal agreement with security regarding is salary and nature of work. Security works sometimes only for president and ignore me. So I have deducted his salary from maintenance and paid other things. 2. Can association put gate, or new bore well or altertion to put taps to block each one’s water supply or any kind of building work without consent of any individual flat owner. Can i deduct such amount from maintenance if they use funds without my written permission. 2)Green Park Regency by ASTRO DEVELOPERS near Amruta Engineering College in Kasavanahalli after total mall in Sarjapur road.There is a High Tension(HT) line cutting right across the layout of the villa project.The villa’s tha the is providng are vertical strcuture in the sense that on a 940 sq ft of plot area he is giving a super built up of 3037 sq ft (G+2).Is this approved cuz when i asked him ,he says it is but when i asked him about HT he says the line is going underground whereas i can clearly see the HT line right across the layout and the villa that i liked is a 100 ft away from the HT line.Is this fine? Request your suggestions on the above pls. I have one small query. I have bought an apartment from the Builder in Apr’2009. The apartment Management commitee was formed in Sep’2009. Before the formation of the commitee, the maintenance charges were collected by the Builder and as such I was supposed to pay him an amount of Apprx. Rs.7000 up to Sep’2009. Later on I realized that the property tax for the year 2008-09 was not paid by the builder and when i spoke to the builder, he asked me to pay the same and deduct it from the maintenance charges payable to him. Later on for some of the still unsold flats, for which the builder was supposed to pay maintenance charges, the builder gave a list of the owners who owe him money and asked the society to adjust his dues against those dues. The society never discussed it with the owners whether they are really supposed to pay that much charges. For example I paid 4500 towards property tax but still builder shows an outstanding of 7000 against my name. My question is whether the society can lawfully ask me for the charges which I owe to pay to builder only and whether the society can ask me to pay the whole amount without adjusting the property tax already paid by me for the prev. year. The subject matter is -Basis of sharing ‘common expenses’ of an apartment building. This is a matter fraught with controversies. Anyone who has bought and /or been residing in a flat or an apartment may not be unfamiliar with but certainly been confronted with , even been swept away by, such controversies. To put it differently, in such matters, controversies do surface and are kept alive, without making an attempt to realize as to why the better or the best course would be to take a pragmatic view. From the point of view of profoundly ‘common interest’, as opposed to self interest, out of the many variable basis of sharing one can think of and propound or advocate for, the simplest of all, more appealing to common sense, may be to agree to sharing on PF basis. For, after all that is the basis on which- 1) the buyer / owner of the ‘unit’ has paid for ‘acquiring’ the unit, and 2) is charged and obliged to pay or share the statutory levy of ‘property tax’ levied by the local authority. Further, that may provide a practical solution to those exceptional but innumerable cases, where the builder / seller, has ‘managed’ to ‘convey’, though illegally, for a price, any portion of the property such as, – of the land , terrace,-which, in clear terms of the governing enactment(s), is required to necessarily form part of the ‘common areas’ , hence to be used/enjoyed only in common, along with the other co-buyers as a community, with no right to claim any sort of division, exclusive enjoyment, etc. ‘Thanks’ to the concerned local authorities, not to mention the registration authorities, for such a ridiculous state of affairs, by being a part of the whole scheme of things and having played an active but collusive role,; howsoever those are strikingly bizarre and extremely objectionable. As of today, perhaps , there seems to be some hope still left that some day in future a desirable improvement may be brought about through the regulatory measures lately being talked about by the men in governance at the Centre as well as in the States. Provided , of course, the subject aspect is duly considered and suitably covered in the legislation in contemplation. We are getting our society handed over from Builder soon. We are looking into ways to reduce maintenance charges and compare where do we stand vis-a-v other societies. Pls share expense sheet talking about Opex & CAPEX by any known society. IN CHENNAI, IN A 25 YR.OLD APT. BLDG WITH 6 FLOORS, SOME FLAT OWNERS (ESPECIALLY UPPER FLOOR ONES), COLLECTED MONEY & INSTALLED NEW LIFTS IN A BLDG. THOUGH THE OLD LIFTS COULD HAVE BEEN VERY WELL REPAIRED /RENOVATED & USED FOR FEW MORE YEARS. MAJORITY OF THE PEOPLE HAD TO PAY DUE TO COERCION & DADAGIRI BY SOME OF THESE VESTED INTERESTS IN THE BUILDING. FEW OF THOSE WHO HAVE NOT PAID ARE BEING HARASSED, MALIGNED, and THREATENED THROUGH POSTERS / NOTICES IN LIFT & CORRIDOR SAYING UNPAID MEMBERS & ANYBODY VISITING THEM SHOULD NOT USE LIFTS OR FACE FIRE CONSEQUENCES INCLUDING HEAVY FINE. LIFTS HAVE NOT BEEN INSTALLED BY THE ASSOCIATION OF 3 BUILDINGS, BUT BY ONE OF THE BUILDINGS’ OWNERS. SOME HAVE NOT PAID AS THE BUILDING RENOVATION WORK DONE EARLIER WAS BADLY DONE AFTER PAYING Rs. 1 LAKH BY EACH FLAT OWNER AND IN FEW MONTHS AFTER REAPIRS/RENOVATION, OUTER WALL S(OF WARDROBE AREA) HAVE MAJOR CRACKS (WHICH WOULD, LIKE BEFORE REPAIRS, LEAD TO RAIN WATER LEAKAGE INSIDE THE ROOMS FROM OUTER WALLS. AND MONEY COLLECTORS / THOSE WHO MISMANAGED THE AFFAIR ARE WASHING THEIR HANDS OFF FOR THEIR ROTTEN WORK DONE THROUGH THEM! THE SAME PEOPLE ARE AT THE HELM OF AFFAIRS. AND THAT IS ONE OF THE REASONS MANY DON’T WANT TO PAY AGAIN TO THE SAME SET OF GUYS. ALSO, THERE WERE 2 LIFTS. ONE COULD HAVE BEEN REPLACED & OTHER COULD HAVE BEEN RENOVATED & USED. BUT WHEN GANG-UP HAPPENS, THOSE WHO RULE THE ROOST MATTER AS THERE ARE MANY WHO ARE INDIFFERENT & GUTLESS TO ARGUE / RESIST SUCH DADAGIRIS. DO THE OWNERS / RESIDENTS HAVE THE RIGHT TO USE THE LIFTS AGAINST SUCH GOONDAISM IRRESPECTIVE OF WHETHER THEY PAID OR NOT? THE LIFT INSTALLER GANG IS NOT WILLING TO LISTEN TO ANY ARGUMENT EXCEPT COLLECT MONEY FROM ANYBODY BY HOOK OR CROOK. CAN SUCH GROSS DADAGIRI OF APARTMENT OWNRES’ ASSOCIATIONS OR OTHERS ALLOWABLE FOR FORCIBLY COLLECTING SUCH MONEY & ALSO DEPRIVING PEOPLE OF THEIR BASIC RIGHTS OF LIFT USAGE, WATER & ELECTRICITY SUPPLY? KINDLY RESPOND IMMEDIATELY AS TIME IF OF ESSENCE. CHENNAI, TAMILNADU, WE ARE STAYING IN A FLATS THERE ARE 1BHK/2BHK/3BHK IT IS UNREGISTERD ASSOCIATION NOW IT HAS BEEN DECIDED TO REGISTERED ASSOCIATION BUT SINCE LAST 25 YRS MAINTENANCE IS COLLECTED BY FLAT WISE, NOW 1BHK PEOPLE TOLD TO COLLECT BY Sq.FT DUE TO LESSER NO OF ONE BED ROOM ASSOCIATION NOT ACCEPTING BY Sq.FT. WHY SHOULD WE PENALISED BY PAYING MORE MAINTENANCE. HOW LEGALLY WE CAN FIGHT FOR THAT. I read with surprise and astonishment the sour experiences of many of the apartment owners from various towns, which relate to high-headedness and, as rightly stated, “DADAGIRI” of those who man the EC. I have almost similar or even worst experience with the EC of the apartment owners’ association in Bangalore North, where, of the 134 one, two and three BKD apartments, I was allotted a 2-bed room apartment in 2005. (iv)	The process to increase Maintenance, without justification, continued thereafter and during the period 1 April 2009 to 1 July 2010 (in only 15 months) it was increased three times. The last increase effective 1 July 2010 from Rs.1.75 to Rs. 2.10/sq.ft. being unjustified and ill-conceived, was resisted by some members. However, they were threatened with warnings of disconnection of water and electricity. It may be mentioned that each 10 paise increase adds Rs. 17,800.- per month to the kitty. (v)	Additionally, EC passed an order for payment of three installments of CAPEX @Rs.5/- per sq. starting November 2010 supposedly needed to have the painting of outer walls. Though, approximately Rs. 2,000,000/ have been collected on this account, the painting work has still not started (October 2011). (vi)	As on date, yearly collection, on account of maintenance alone, amounts to Rs.4,498,200/-, as against an expenditure of app. Rs.3,573,900/-, i.e., Rs. 924,3000/- extra per year. (viii) to favor contacts, jobs were created and contracts awarded without considering usefulness of the end product; (ix) circulation of quarterly accounts statements had, of late, been withdrawn, for obvious reasons, (x) club premises is being used and let out to outside hawkers causing security risks, and (xi) to maintain/upgrade an approximate garden area of 4,000 to 4,500 sq. ft. of which 90% is covered with grass and stoned-walkway, an expenditure of more than Rs. 85,000/-, besides monthly salary to two gardeners, has been incurred out of Maintenance funds. (d)	also for non-submission of audited accounts/ITax/Service Tax returns to the competent authorities for the last seven years? An early reaction shall be welcome. In view of the unprecedented increase in the number of flats it looks a concerted and united action, similar to the one taken by the youths in Delhi about 10 years back to eradicate corruption from the then Electric Supply Undertaking (DESU), may be needed (i) to bring revolution, streamline and/or eradicate above problems; (ii) make the State Government/concerned authority to bring the much awaited/talked about amendments to the existing toothless KAOA 1972, and (iii) make provisions mandatory and provide strict penalty to the offenders. As for modus-operandi of Delhi campaign by youths: a group of devoted and selfless youth formed a protest body of about 100 volunteers and divided it into 10/15 groups. In the mornings each group would gather at different offices of concerned undertaking and help the “aggrieved visitors” accompanying them to the relevant official so that expeditiously attention to their complaints, without any excuses or palm-greasing could be possible. This resulted in the department to open a separate counter at each outlet to receive complaints, enter them in the register, allot a number and provide tentative date to the aggrieved consumer for the solution to the problem. As a result the complaint solving situation thereafter improved to the satisfaction of the consumers. I was delighted to see the support received by Annaji’s campaign against corruption, throughout India in general and because of initiative and support of Justice Santosh Hegde, in Bangalore, in particular. Is it not that to force the Executive Committees at various Associations to work as per laid down statutory provisions, some knee-jerk action similar to the protests and meetings held at Freedom Park, Bangalore in support of Annaji’s protest and corruption, formation of a “group by youth” to help eradicate the so-called “DADAGIRI” at different locations, is needed? It may be a fit case for the consideration of the Core Group formed by Annaji’s supporters. Volunteers/reactions welcomed. There is a layout of bunglows in Sarjapur and the builder has to provide the amenities like water and electricity. Now the maintainence of the layout has been taken over by an association where many plot owners are not members and some do not want to become. The Association now has converted the layout to a gated community and saying they have the right to allow who can enter the layout. It’s shocking that they are passing rules to their convinience literally becoming like a STATE WITHIN A STATE. I am ready to pay for the amenties when I will ask as mentioned in my buyers agreement and will get my plans approved from BBMP. I do not want to become a member where have to literally surrent my ownership rights. Please advice how to go about this. One more thing have seen in Bangalore that there are not rules for MC members who frame rules and trouble owners. In Maharashtra now it is mandatory for all MC to give an INDEMNITY BOND on Rs.200/- stamp paper to the Society and it’s members where in they are laible civil/criminal for all wrong actions done/not done which might affect the society or its members. Can a non-resident owner become a managing committee member? Can an elected MC Member opt for the same post which he/she had held previously, for another term? Will it be in fairness if he/she has been re-elected for the same post ? Hello Ram. Yes, A MC member can get re-elected for another Term for the same post, unless this is explicitly disallowed in the By-laws of your Society/Association. Property owners, notably buyers of units in apartment buildings, are only too willing to pay the tax due, as properly calculated, provided it is readily accepted by the BBMP without much ado about nothings or insignificants or inconsequences. However, buyers are often faced with irritants resulting in disillusionment. One such bizarre instance 9or instances) that are heard to have come to surface in recent couple of years is when BBMP, with no rhyme or valid reason, has been obstinately refusing to issue or withheld issuance of so called khatas to buyers on the strength of the only proof required namely, the deed of apartment (sale). It appears, that is a commonly faced problem , in respect of those new apartment buildings, which have come to be occupied at a point in time after the BBMP has promulgated ordinance and initiated action for collection of so called ‘development (or improvement) charges’ ( the charges). In particular, those are cases where requisite approval of any building project, as per the then extant administrative local regulations (since undergone changes), had been given by the BDA, and accordingly, on completion, the occupancy /completion certificate been issued by the BDA. Earlier, the BBMP despite its efforts could not, as reliably learnt, impose and/or collect the charges by virtue of a court order of stay. It was only after the stay was vacated later, that the BBMP came out with Ordinance, and toned up its machinery for collection of the said charges. In the process, even those projects albeit originally approved, and on completion, cleared by the BDA, as aforesaid, were sought to be subjected to the rigour of the charges; albeit, in a considered view improperly so. In the nature of things, no buyer could be expected to have known about such later developments, in the normal course. There seem to have been Instances where it is only when buyer applies to the BBMP, the designated authority, for issuance of a khata for his apartment, that he is made aware of a demand for the charges outstanding collection from the seller; who, as the developer of the project , is, beyond any doubt, legally responsible and bound to be answerable for the liability. Be that as it may, buyer is confronted with a piquant situation that the BBMP refuses to or withholds issuance of khata to buyer, unless and until the outstanding demand for the charges gets paid by the developer/seller. Notwithstanding , the seemingly correct legal position is that, the BBMP’s recourse to have any such outstanding demand for the charges collected / enforced in law, could be only to the developer/seller; in no case, to the buyer. In the ultimate analysis, it requires to be specially noted that, in any view it is the BBMP, and the BBMP alone, jointly and severally with the developer/seller, who has to lawfully bear the brunt of the entire blame. For, buyer will not have been obliged to face the unintended hardship had the developer / seller , as required of him, sought and obtained a ‘master khata’ for the entire property (land and building), and the BBMP had insisted upon and ensured that the seller had in his possession such a composite khata before his effecting any conveyance of apartments to individual buyers. That , in turn, would have facilitated , and made it a routine affair, for buyer to straight away seek and obtain a ‘bifurcated khata’; that is, the individual khata for his apartment. It goes without having to add that, for these reasons, it is now left to, rather high time for, the State government, the BBMP and other concerned authorities to come out with clear-cut guidelines, and sincere follow-on action, so that the long prevailing chaos in the matter of issuance of khata is cleared once for all, with no further procrastination. The apex court has, in re. Rashtriya Ispat Nigam limited recently reported, held to the effect that, if it has been mutually agreed, the liability is to his account, and has to be paid and borne by, the service provider. In one’s strong view, however, the ruling cannot be taken to be an authority to say that, service provider who is the ‘assessee’ can, unless agreed to, pass on the burden, particularly as a matter of routine, to customer. For an account, so also certain related viewpoints, of significant importance to customer, read here and here. In the draft of model bye laws provided elsewhere on this site, in the quote,mention of ” the Karnataka Societies Registration Act, 1960 and Rules, 1961 and also” is misleading. For, as pinpointed in more than one of my earlier Posts, the said Act has no relevance whatsoever to ‘apartments’ (or even ‘Flats’) governed by the special enactments. Incidentally, the term ‘ Memorandum of Understanding’ employed in the opening of the draft is ‘otiose’ , being bereft of any merit. In order to ensure that in the framing of bye laws for an apartment building all the crucial bye laws are incorporated , without fail, in my firm conviction, it is only prudent to simply adhere to the format legally drafted and readily available in the KLJ’s published book on the governing State enactment. Dear sir, You are requested to mail me precedent draft for formation of Condominium under Maharashtra Apartment ownership Act. which Documents to be drafted and executed ?? Deed of Apartment, declaration Form A. Why should water leakages from the flats above to the flats below not be attended by the Cooperative Housing Society Managing Committee? Does any society member take permission of the flat owner staying below his flat for his opinion before carrying out the Renovations and Repairs of the flat? Is it not the Society Managing Committee who grants permission for the Repairs and Renovations of the flat to its members? Is not the Society responsible for the so many other Repairs of the Society? Does any one force a society member to buy the terrace flat? It is bought out of choice so why should the society do the repairs of the terrace leakages? Why then in the case of Terrace Repairs, it becomes a society responsibility. Any Answers: Do the solicitors have any opinion? Can the Cooperative Housing Society Registering Authority give any opinion? Grieved members who suffer from such water leakage in their flats due to the work carried out above their flats should report such matters to the municipality (Buildings Dept) and Lodge a Police Complaint, Report it to the Cooperative Dy Registrar if the Managing Committee is not taking any responsibility to repair such negligent water leakages.. The M-20 bond has been signed and submitted to the Deputy Registrar of Cooperative Society. Also, if a member is convicted by a Court of Law for any offence involving moral turpitude, that member is not eligible to be elected as a member of the committee unless a period of six years has lapsed since such conviction. A member who defaults in payment of dues to the society within three months from the date of service of notice in writing is not eligible to be elected as a member of the committee. As per the Maharashtra Co-operative Society Act 1960 vide Section 73(1AB) every members of Managing Committee of Cooperative Housing Society have to execute the M-20 bond and submit it to the Deputy Registrar of Cooperative Society to make them accountable of their personal responsibility and liability towards the society and its members. (Bombay High Court – Writ Petition No:457 of 2007) under article 226 of the Constitution of India. Bye Law No: 136 of the Old Model bye Law and Bye Law no: 138 which lays down that the members of the Managing Committee shall be jointly and severally liable for making good any loss which the society may suffer on account of their negligence or omission to perform any of the duties and function cast on them under the Act, Rules and bye laws of the Society. a. I have one individual garage with one flat. What will be the maintenance charge? Is it similar to the common garrage concept? 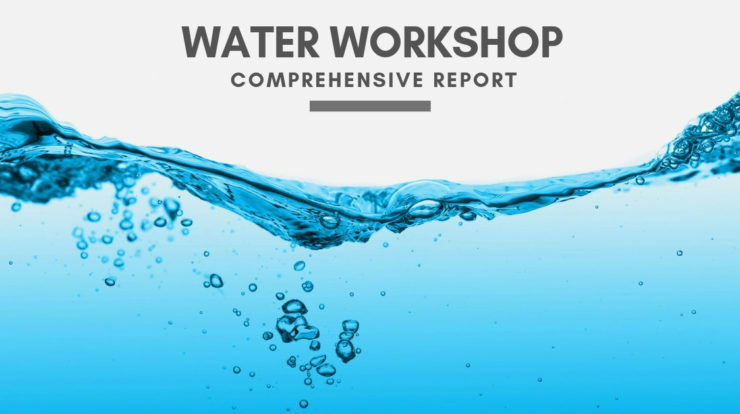 I am consuming common water for my garage only. b. Shall I bear Puja Chanda for two flat or one flat considering single family ?What rules says? I have bought a flat in a new apartment. However there are 40 unsold flats. Who will bear the property tax on the unsold flats??? The developer or the society???? Our apartment has 60 flats… And there is a association registered recently… The issue is that this association does not represent the total population of the apartment, as there is clear division among the flat owners. Infact the ratio is almost 50:50….. While half of the falt owners have gone ahead and registered an association, the rest who are not accepting the same, are now planning to register another association… I want to know whether it is legally right to have TWO associations in the same Apt…? ….What is the legal validity of both the associations…?? .. And what would be complications for some who want to be neutral….? More than 3 years are noted to have passed by. As such, one having a personal or common concern is perforce left wildly wondering, rather tearingly guessing, whether, at all, there have been no further developments, significant ones at that, so as to require an update of this Blog, as imndicated ! Incidentally, the website link referred to and commended as containing an interesting article, is. when lately tried to access, reported to be ‘unavailable’. It is left to anybody’s guess why so; especially because , when earlier read, it was noted to contain certain useful clinching update, which, had it been diligently pursued, would have gone a long way in bringing about improvements in the matter of ROCS, the competent authority , accepting registration of apartment comlexes under the applicable KAOA; and, in the result, put an end one for all the wrong practice of registering such complexes, as RWAs , under the KSRA which , in terms, has no applicability at all, hence unlawful and illegal. our apartment builder wants to register our appartment association under societies act 2001 but flat owners demanding to register under 1987 act. My question is which act is safeguarding the flat owners? can anybody guide me? For knowing , and clearly understanding, what exactly the law requires, recommend you should go through the contents of the Blog cited in the immediately preceding Post above. Any Further guidance and advice, you need to seek, should be , for obvious reasons, from a competent but reliable advocate having expert knowledge and exposure to the special law on apartments under reference in that website. There are 12 flats, it’s a joint venture between land lord and builder i.e. 50:50, 6 houses belongs to builder and 6 belong to land lord. Builder has sold all the 6 houses and I am one among 6 purchasers who purchased flat from the builder. Are there any solutions, if yes please let me know or please provide me ur mail id or contact number will talk to u in detail. Now I am an Owner of an Apartment which was our land. Sir, I want to know my room outside wall is common or not? We have contract with our developer our measurement is cover area. I want to know, Out side wall common or not ? Can you please let me know what remedy i have to the following problem? I bought a commercial shop attached to an apartment this march and now when i want to innaugarate the shop the association of the apartment is not allowing me to open my shop they even have broken my locks on the shutter and put their locks. They are saying since the builder didn’t inform them that the shop or room was for sale they will not allow it and it is property of the apartment. But the shop is approved as commercial use in the plan and i have registered it in my name . How do i take possession of my shop? The builder says he has sold the shop and his responsibility is over. The apartment association has also broken my boards attached to the shop. I have an apartment ina complex with 579 apartments in Bangalore. Some couple of years ago the MC suddenly levied a so called Cultural Fee of Rs 600 per year, for which I am not aware of any GBM Minutes. Also, no receipt is being provided. Further, as far as I am aware, such Cultural Fees cannot be legally justified and are purely voluntary. Now, the MC has mentioned the Rs 600 for the current year as Outstanding against my name without any formal demand. Also, the so-called Cultural Fees are supposed to be paid into the Maintenance Account of the Association. The MC states that any amount not paid will attract interest. Can this so-called Cultural Fee be legally enforceable by the Association? If yes, what proof should I insist upon before I pay the amount? I am concerned about such arbitrary amounts and fees as these are liable to be misused. Has the MC has power to vacate the students and singles from residing from the apartment? The MC passing rules from renting to singles and students. Are they empowered to do so? Bangalore residents may now pay Property Tax on Common Areas too!